Elephone has been busy working on the release of its upcoming device which is going to be called Elephone P20. Information on this device is sketchy but from internal source, the device will come with 6GB of RAM joining the ranks of high profile smartphone maker like OnePlus, Vivo and LeEco. The camera will be featuring f/1.7 aperture. Helio X20 deca-core chipset or maybe Helio P20 (judging from the name) from Mediatek. 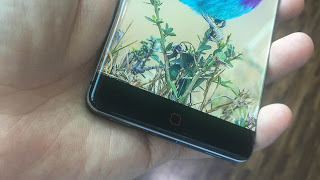 From the pictures below, it will also feature a bezel-less display as the Elephone P9000 Edge. And definitely, the fingerprint sensor can be located at the back of the device. No release date yet but expect The Elephone P20 to be announce anytime soon. Welcome to the era of 6GB Ram.